When it comes to dating, it's all too easy to dismiss getting to know someone new as a young person's game. While there are plenty of dating apps out there, it’s hard to deny that the market is pretty much dominated by those that target young people – Tinder, Bumble, Badoo. But never fear – if you too are single in your 50s and over, and trying your best to navigate the mindfield of midlife dating – just like 7 million other babyboomers – a new app has launched to save the day. Lumen, the very first over 50s dating app, has just launched, promising a place to meet ‘genuine like-minded singles’, with ‘quality conversations and connections’. 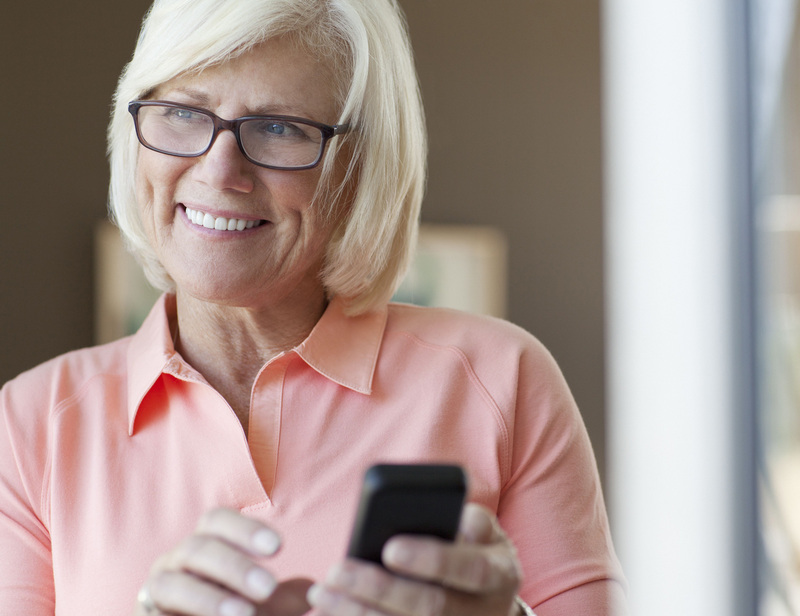 Lumen app: how does the first senior dating app work? The Lumen app, which shares an investor with dating app giant Bumble, is the first dating app of its kind. While dating apps and websites of course cater to the older person, we can’t believe there’s never actually been a focused site or app just for people of a certain age as this one does. And we have to admit, this over 50s dating app sounds ideal, in order to ensure you’re browsing a guaranteed pool of people you can trust are your own age – and interested in similar things. One of the main focuses of the senior dating app is also to ensure the safety and security of each and every one of their members. Lumen has revealed that they verify the photos of every single member, and ensure that each profile contains at least three different photos and a detailed bio. And brilliantly, they have also designed the app in order to create quality, meaningful conversations – whether you’re keen to find someone with a mutual interest in music, cooking, or fishing. Charly Lester, Lumen’s CMO, revealed that the idea for the app was born out of a desire to embody the “values of the over-50s”. And most importantly, be sure to enjoy your exciting new dating life!